Join with your SEGD community to share some tips & tricks for CADtools. . This software is invaluable to so many of us – but everyone seems to use it differently. Some of us are just getting to know what CADtools can do – but even those of us who have used it for years are constantly uncovering new tips and tricks. This will be a peer-led workshop. Participants are welcome to share their own tips and tricks for CADtools so that we can learn from each other. Get in touch if you'd like to present! Snacks and drinks provided, all are welcome. Parking available in the garage off of 48th St. Happy 2019! 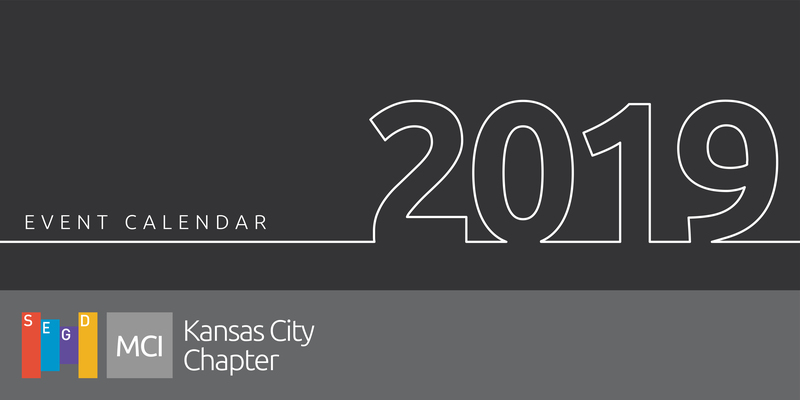 We are excited about growing our SEGD community this year and wanted to post a preliminary calendar of events. We are aiming to have something for everyone. If you would like to volunteer to assist in planning or events, or have suggestions for activities we can do as a community – please email us. We like volunteers. 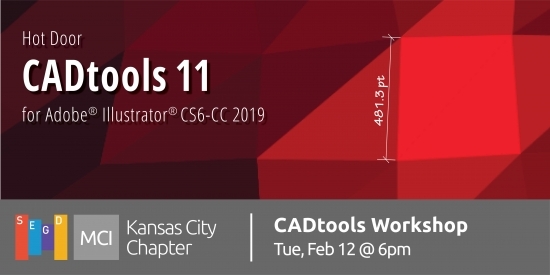 Q1: WINTER CAD Tools Workshop: Tips & Tricks for detailing in Illustrator. A peer-led open knowledge share for all. Drinks & snacks on us. February 12, 6-8pm at 4800 Main st. KCMO. Q2: SPRING Design Week Student Review: Portfolio review & career fair, timed around Senior Shows and Design Week - potentially in collaboration with other organizations such as AIA, AIGA, IIDA. Still lots of planning to do for this - Stay tuned. Digital, Experiential, Graphic, Interiors, Architecture focus – all are welcome. Q3: SUMMER Happy Hour and Gallery / Museum Crawl: Open to all to gather in community and enjoy a different perspective of art and design. Have a gallery you'd love to include on the crawl? Let us know! Q4: FALL People’s Choice Awards: A Pecha Kucha type project showcase for all the KC community to show off your best projects from the last year. The audience will vote for their favorite and the winners will be celebrated with tasty treats and lovely drinks. Digital, Experiential, Graphic, Interiors, Architecture focus – all are welcome. Stay tuned for details on how you can participate. 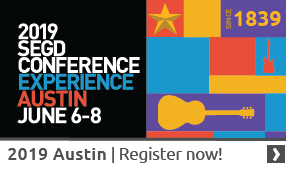 BONUS: 2+ smaller events such as Happy Hours, workshops, vendor showcases and activities. Watch this space for details. Also - We would love to showcase your work! if you have recent project work (located anywhere) that you would like to share with your local community, please email us so that we can brag about you! Let us know if you can join us here. 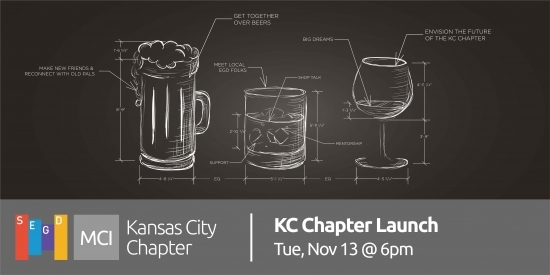 The Kansas City Chapter is BACK! Welcome back to the KC SEGD Chapter! 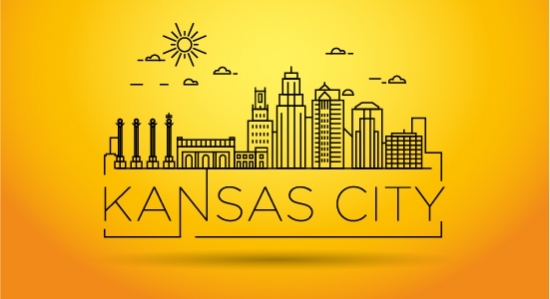 We think KC is ripe for new opportunities for design professionals, students and industry partners to connect at the intersection of branding & graphics and interiors & architecture – and we are excited to get the SEGD local Chapter back up and running. We hope that through chapter events we can provide inspiration, education, and opportunities for networking, mentorship, and recruiting. We want to grow our community, and provide an opportunity for people to get to know each other, share their experiences, insights and ideas and learn from another. Jemma Radick: Jemma is a Senior Associate at Populous with over sixteen years experience bringing holistic design solutions to large scale branded environments. She works at the intersection of Architecture, Interior Design and Graphic Design to create environmental graphics, exhibits and displays, sponsor activations, donor recognition, interactive media, and signage & wayfinding. Combining all of these elements she designs experiential environments that bring brands to life. Jonathan Mugmon: Jonathan is a Senior Associate at Populous with over eighteen years of experience in the development of wayfinding systems. Jonathan strives to add value to projects through well-researched intelligent analysis, legibility and through a creative approach to strategy development of user-centered design. Jonathan has planned, designed and built projects across four continents and strives on each one to create branded designs that are culturally sensitive, contextually compatible and communicate direct and effective information to provide ease of access. Shelley Rosdahl: Shelley is Vice President / Sales at Star Signs LLC, and just recognized her 30th year in the sign industry! Shelley has been involved in every phase of custom sign fabrication - from management of architectural and environmental graphics projects, handling of national accounts, to consulting with architects and designers on material usage, design, and fabrication of large scale projects. She often works alongside architects and designers as a project is being developed to offer input on materials and construction methods to achieve the desired design intent.